In 2017, on the 50th anniversary of the Vatican's first World Day of Peace message, Pope Francis issued the groundbreaking statement, "Nonviolence: A Style of Politics for Peace." It was perhaps the Vatican's first official statement on active nonviolence, and it raises a number of important questions for the world Church: Is God nonviolent, and does God want us to renounce violence as well? In a violent world, does nonviolence work? practices of nonviolent peacebuilding and the "responsibility to protect"
Martha Inés Romero (Pax Christi International—Bogotá) will also be speaking. The Center for World Catholicism and Intercultural Theology was founded at DePaul University in 2008 to produce research that will serve the church and the academy. To fulfill this mission, we have paid special attention to the World Church that has emerged since the Second Vatican Council and its growth in Africa, Asia and Latin America. Join author Anne Lamott as she reads from her latest book, "Almost Everything". Joining her in conversation will be author and activist Rev. John Dear discussing the topic of peace and nonviolence. Anne Lamott is the New York Times best-selling author of Almost Everything; Traveling Mercies; Bird by Bird; Some Assembly Required; Plan B; Stitches; Help, Thanks, Wow; and other books. She lives in Marin County, California. Rev. John Dear is a long time peace activist, priest, teacher of nonviolence, coordinator of Campaign Nonviolence, and author of many books including The Nonviolent Life; The Beatitudes of Peace; Living Peace; They Will Inherit the Earth; The Questions of Jesus; Transfiguration; and The God of Peace. Archbishop Desmond Tutu has nominated him for the Nobel Peace Prize. Books will be on sale in the back of the church. Anne Lamott and John Dear will be available to sign their books after their presentation. PURCHASE TICKETS BELOW OR VISIT EVENTBRITE HERE. Please Note: A previous promotion for this event mentioned the date April 29, 2019. The date was changed after those went out. Sorry for any confusion. Marking the 75th anniversary of Hiroshima and Nagasaki. Featuring Martin Sheen, Dolores Huerta, Richard Rohr, John Dear, Erica Chenoweth, Rev. Lennox Yearwood, Jr., and others. Hosted by Pace e Bene’s Kit Evans-Ford and George Martin. The Campaign Nonviolence National Conference takes place Friday evening and Saturday at the Hotel Albuquerque, 800 Rio Grande Blvd, NW, Albuquerque, New Mexico in their main ballroom, walking distance from the Old Town Plaza. Tickets will be $200 per person. Space will be limited so mark your calendars to buy your tickets early! On Thursday, August 6, 2020, from 4-8 p.m., in Los Alamos, NM, there will be a sackcloth and ashes silent contemplative sitting to commemorate the 75th anniversary of the U.S. atomic bombing of Hiroshima, followed by a march down the main street to Ashley Pond Park, the exact place where the Hiroshima bomb was built, for a rally with speakers and singers. By 8 p.m., candles will be lit and released on the pond in solidarity with the people of Hiroshima, Japan. On Sunday August 9, 2020, buses will leave the Hotel Albuquerque at 8 a.m. and go to Los Alamos, NM, for the 11 a.m. sackcloth and ashes contemplative sitting followed by the march to Ashley Pond Park to mark the 75th anniversary of the US atomic bombing of Nagasaki, featuring Dolores Huerta, Martin Sheen, Kit Evans-Ford, George Martin, John Dear, Roshi Joan Halifax, Ken Butigan, Rev. Lennox Yearwood, Jr., and local anti-nuclear and indigenous leaders. Buses will return to Albuquerque by 5 p.m. Buses transportation will be provided for participants on both August 6th and 9th leaving from Hotel Albuquerque. Legendary activist George Lakey was involved in some of the greatest movements of the 20th century — and is still going strong. He is now on a nationwide book tour sharing with audiences key strategies for effective social change from his new book, How We Win: A Guide to Nonviolent Direct Action Campaigning. 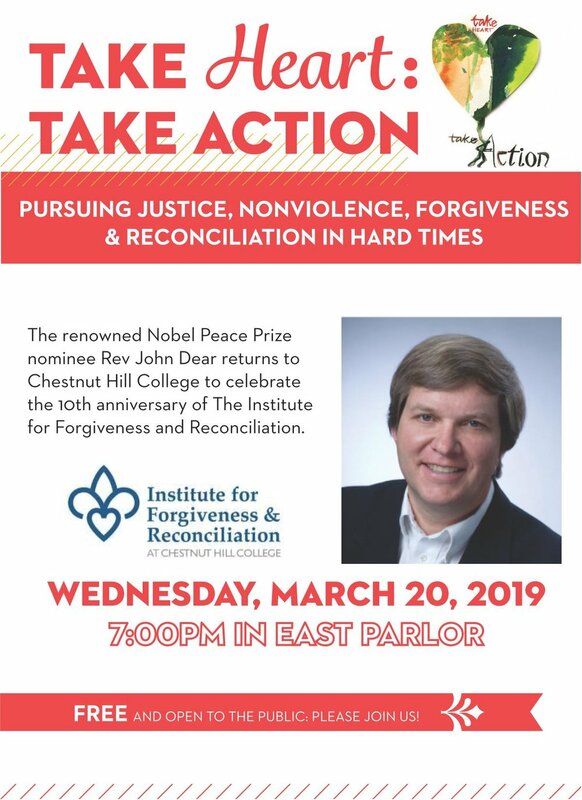 Pace e Bene’s Ken Butigan — who teaches at DePaul University — will welcome Dr. Lakey to campus to hear how we can change the world by confronting injustice and mobilizing nonviolent people power. Dr. Lakey’s books — How We Win and Viking Economics: How the Scandinavians Got It Right-and How We Can, Too — will be on sale and available for signing. This event is free and open to the public — refreshments will be served! *Please note: an earlier post said the event started at 1:30, that was incorrect. It begins at 12pm. 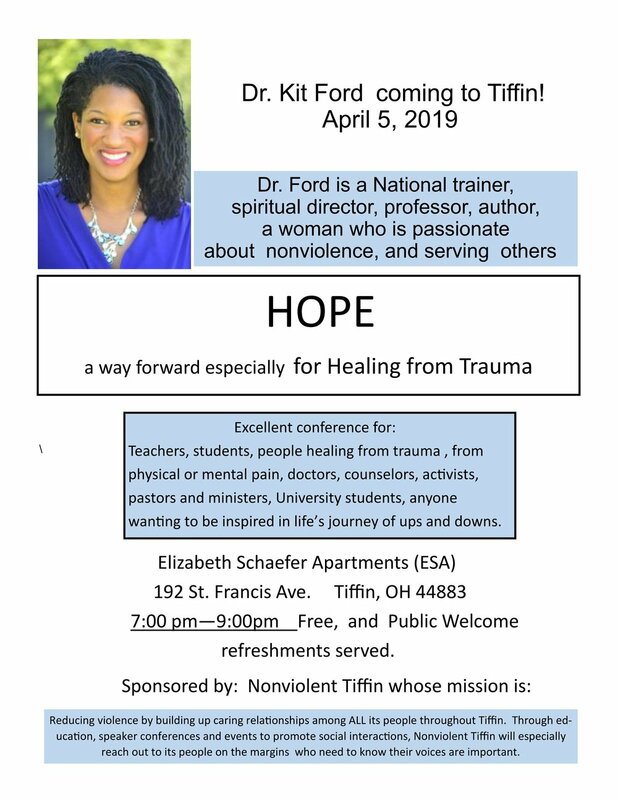 Organizers in Tiffin, Ohio are complementing their work on the Nonviolent Cities Project with this talk with Pace e Bene Trainer Kit Evans-Ford. 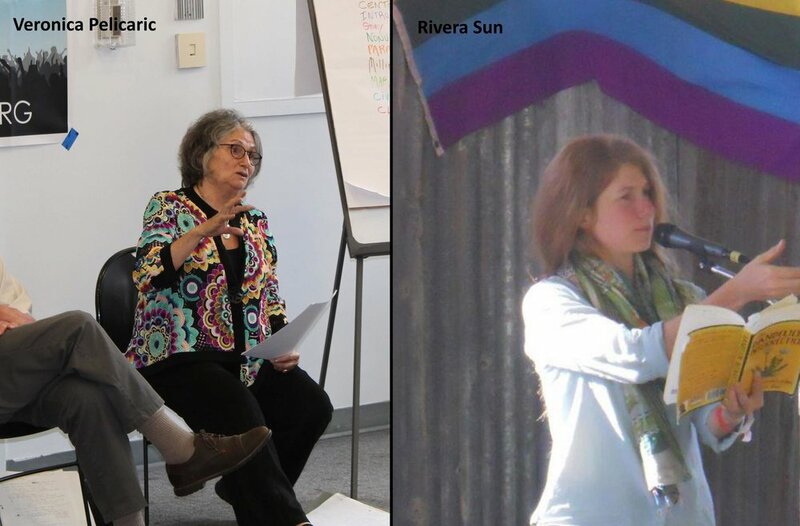 Central Kentucky Council for Peace and Justice will be hosting Pace e Bene trainers Veronica Pelicaric and Rivera Sun for a three day Nonviolence Training and Workshop on March 1, 2, and 3, 2019. Join authors Rev. John Dear and former New York Times correspondent Chris Hedges in a public conversation on Daniel Berrigan and the movements of peace and nonviolent resistance, following the Sunday afternoon performance of Daniel Berrigan's legendary play, The Trial of the Catonsville Nine, Sunday February 10th at 3:00 p.m., at the Playhouse at the Abrons Arts Centers, 466 Grand Street, in New York City. George Lakey, author of just published How We Win: A Guide to Nonviolent campaigning, has led over 1500 workshops on five continents. He was first arrested in the civil rights movement and was a trainer for the 1964 Mississippi Freedom Summer. In 2018 he was arrested campaigning for Power Local Green Jobs. He has given leadership to campaigns on neighborhood, city-wide, state, national, and international levels, including cross-race, cross-class coalitions and the LGBTQ movement. He co-led strategy workshops with César Chavez, and worked with labor unions, Mohawks, high school students, environmentalists, and the Puerto Rican independence movement. He also taught conflict studies at colleges and universities and authored ten books on how to bring about change. 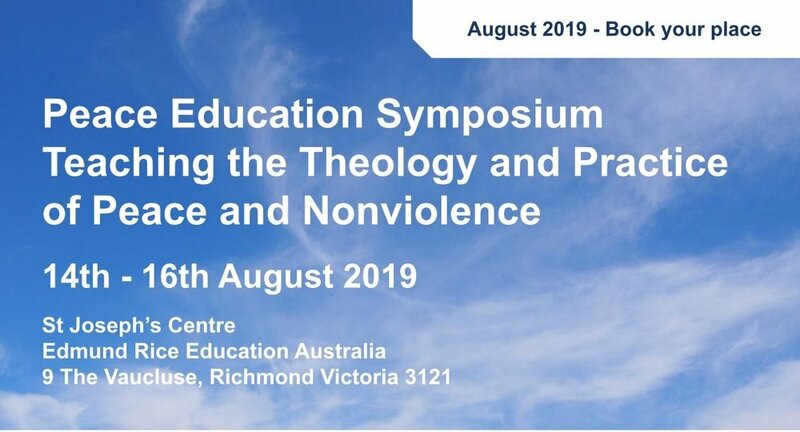 Marie Dennis from Pax Christi International will be the presenter and Ken Butigan, from Pace e Bene’s Campaign Nonviolence will be the responder to Marie’s presentation. Followed by an in depth conversation of all the allies present!